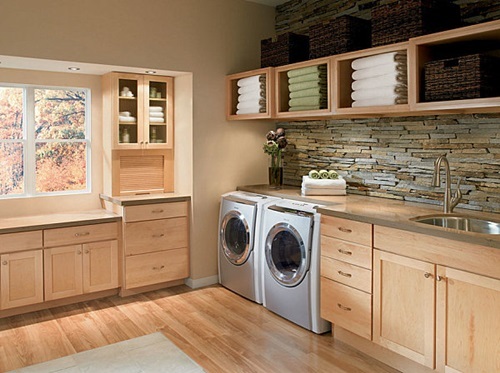 Don’t you have enough time to wash your family’s clothes till the weekend? 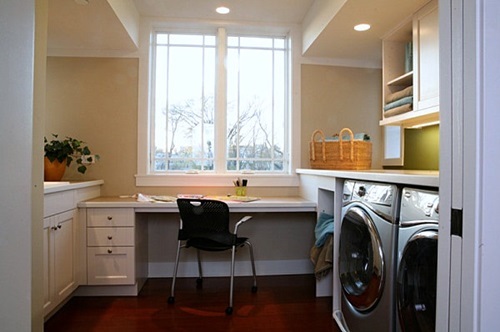 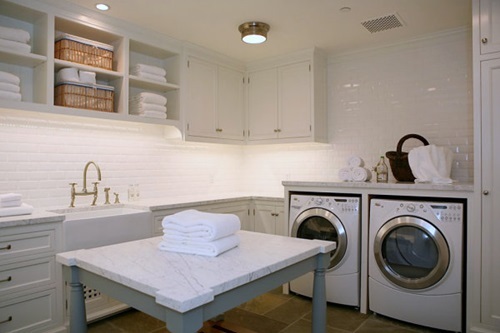 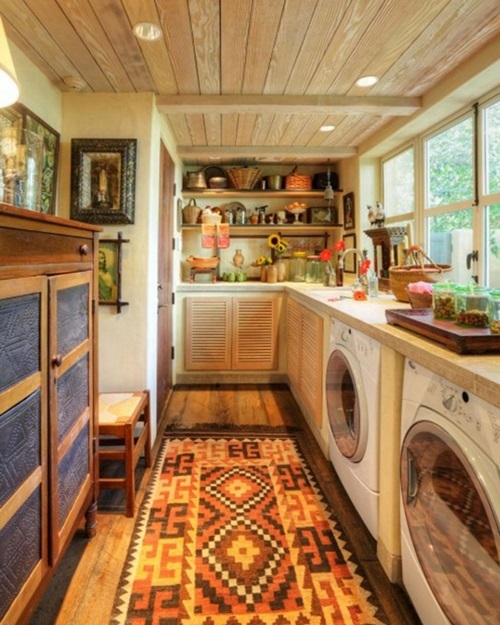 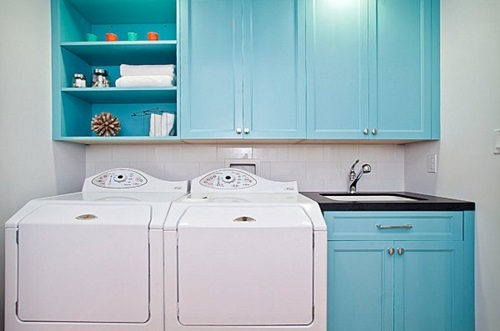 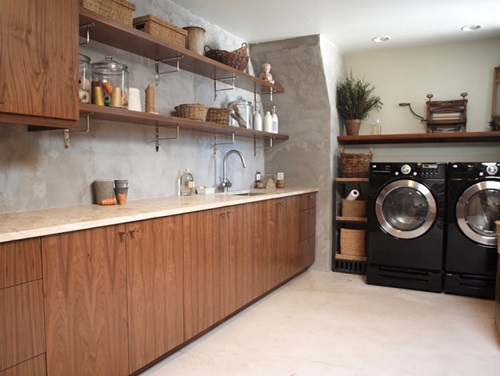 Is your laundry room cluttered by your kids’ dirty clothes all the time? 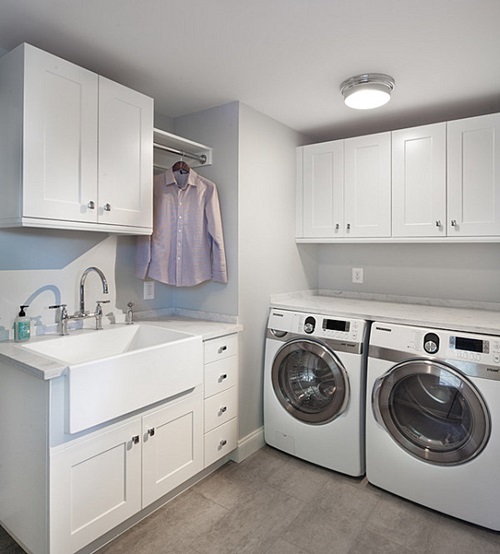 You will surly need a practical laundry organizer to store your dirt clothes away from dampness and your clean clothes away from the dirt clothes. 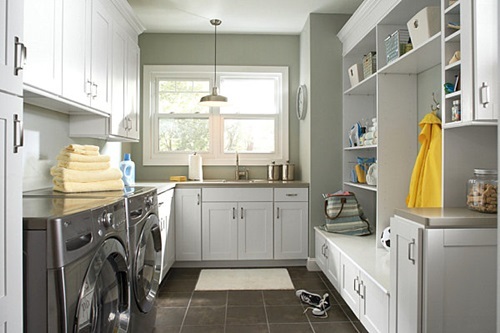 To keep your laundry room always clean and tidy, you need regularly to dust the shelves and all the appliances in the room then remove the unnecessary items and organize the rest of your room. 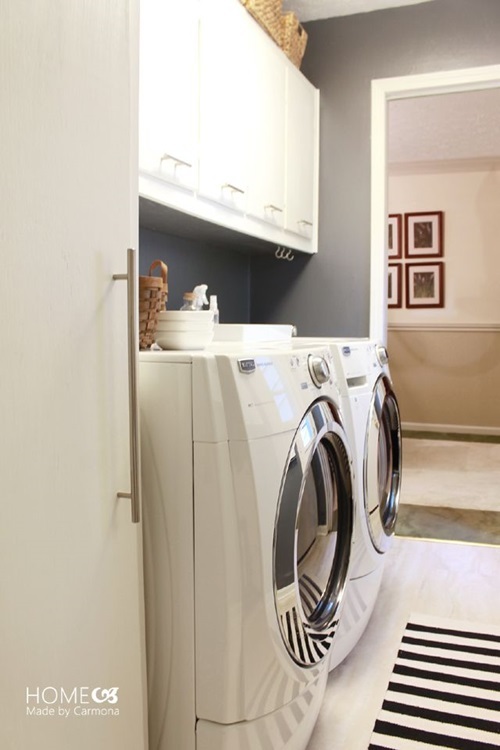 To protect your washing machine and dryer, you may use specialized vinyl or cotton covers. 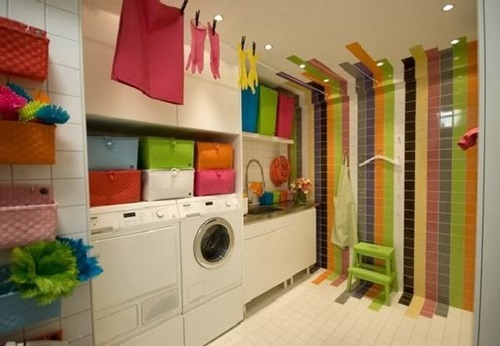 After your clothes are dried up, it would be better to fold them and place them in the closet immediately to keep the room clean and tidy all the time. 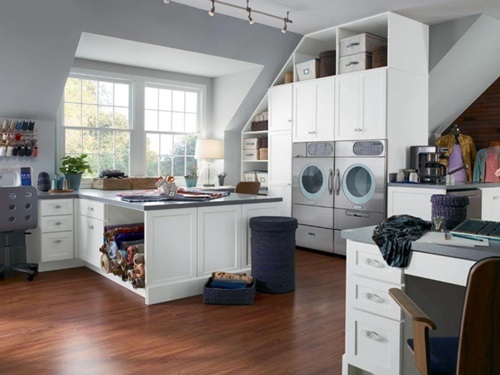 If you wish, you can place a sewing small basket with needles, thread, and scissors beside the waste basket to sew the slightly torn clothes. 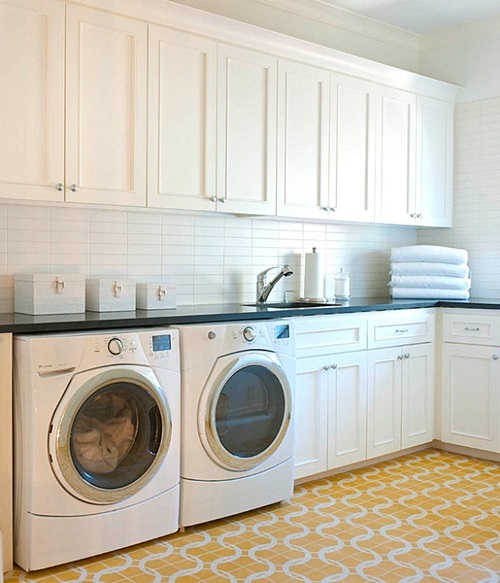 To give the room a formal clean and tidy look, you can use some accessories such as art print and clock with a matching rounded area rug. 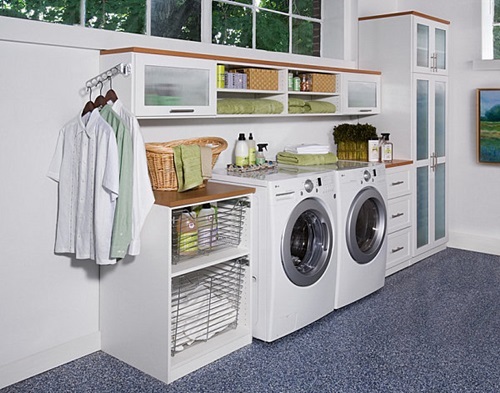 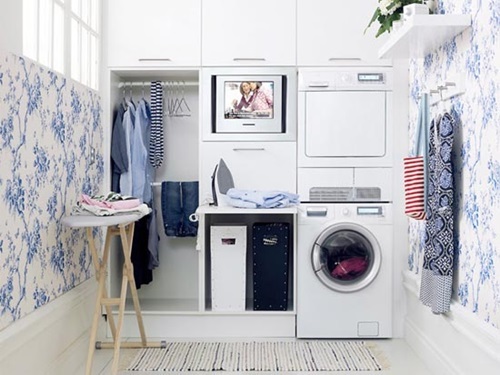 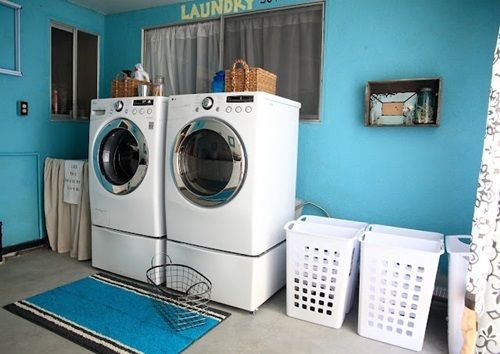 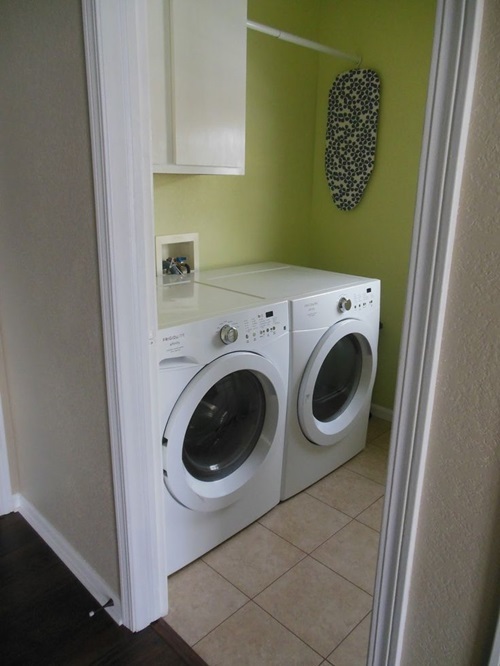 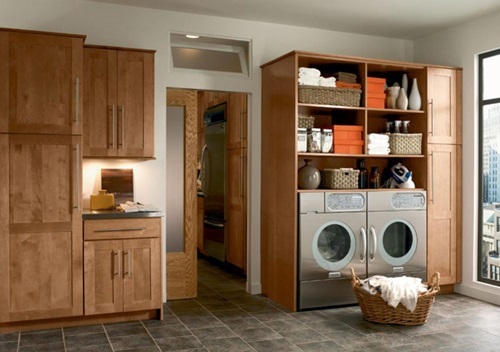 The laundry organizers will help you to keep your laundry room clean and tidy all the time. 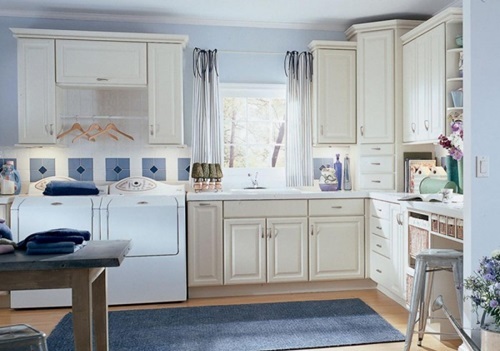 The hamper may be found as drawers to be easily rolled out or as three parts for the white, colored, and mixed clothes. 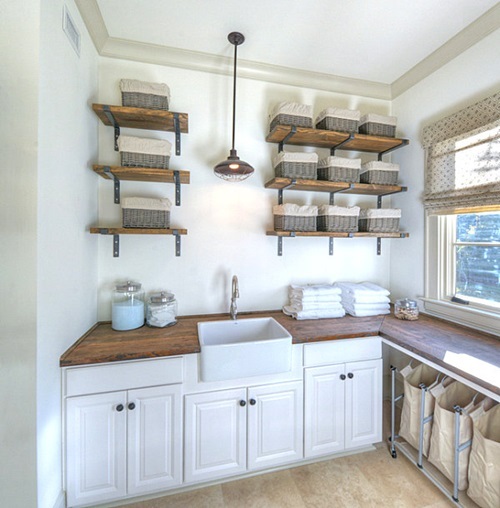 Hampers may be flip-top, collapsing, rolling, or hanging made of attractive wicker, canvas, or sea grass. 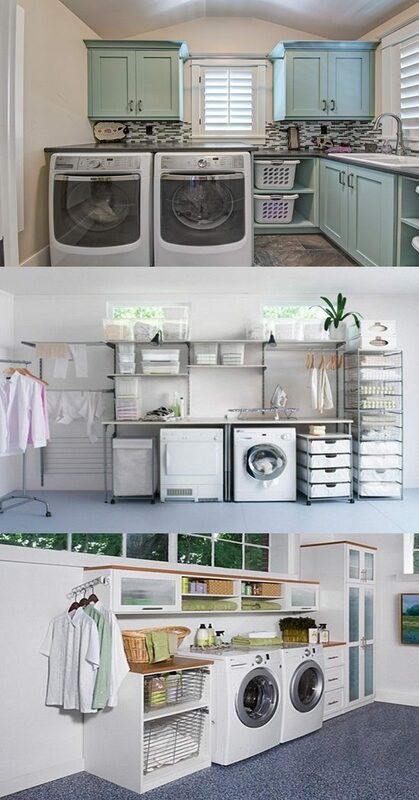 Another famous kind of the laundry organizers is the laundry center that includes laundry sorter, rod, and top shelf. 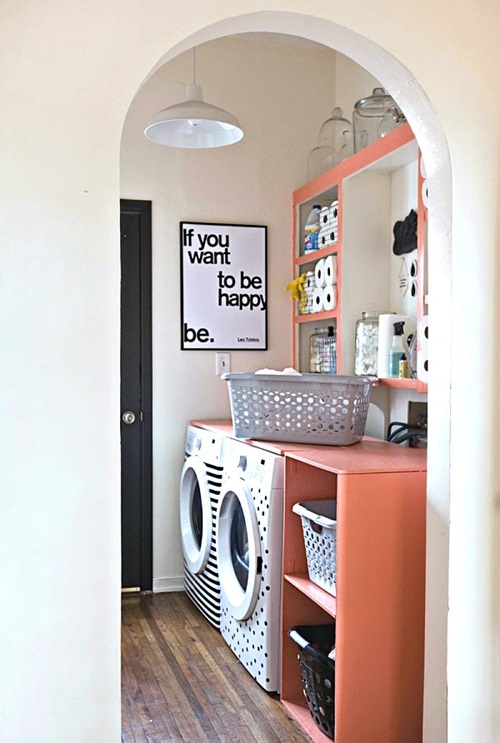 However, this kind of organizers needs a large space room contrary to the laundry caddy that could be placed in the corner. 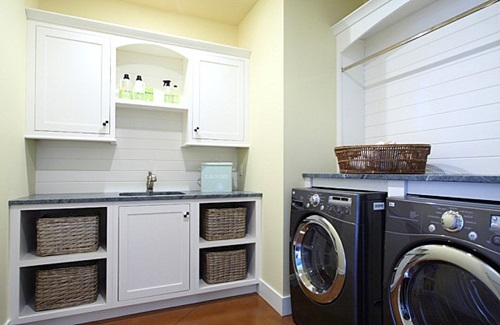 The laundry caddy has three small shelves and can hold the bottles of your cleaners. 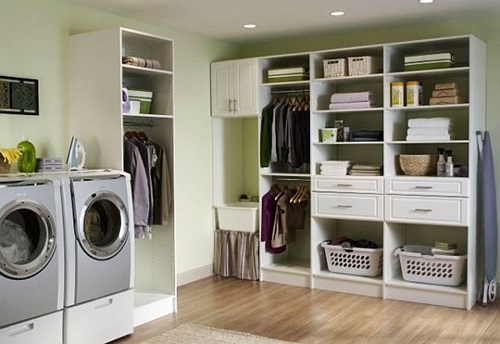 If you need a big organizer, you could opt for the triple storage bin that has three removable storage bags and made of steel frame and a wire frame bottom to keep the bin away from the floor. 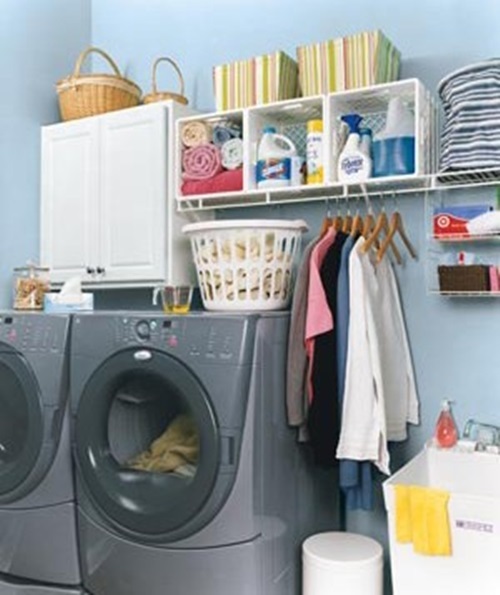 The laundry station us a large organizer that includes a wire tray and two shelves on one side and removable canvas bag on the other beside set of melamine doors at the top used for folding your clothes or pre-treating laundry. 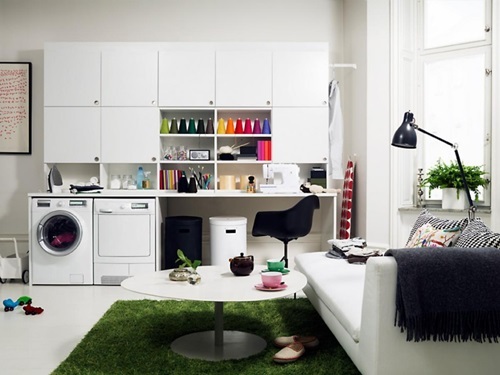 Using the suitable organizer for your room will keep it always clean and tidy.